Cabinet-level officials, led by Chinese Vice Premier Liu He and U.S. Trade Representative Robert Lighthizer, gathered in the Eisenhower Executive Office Building next to the White House, with about a month to reach a deal before a March 2 U.S. deadline to increase tariffs on Chinese goods. During a photo opportunity at the start of the scheduled two days of talks, Lighthizer, Treasury Secretary Steven Mnuchin and other top Trump administration officials sat silently across a long table from their Chinese counterparts, ignoring a reporter's questions. After a few minutes, Lighthizer broke the silence with joking small talk about table positioning and appearing in photographs from the meeting between U.S. President Donald Trump and Chinese President Xi Jinping in Argentina last year. Meng was arrested in Canada on Dec. 1 at the request of the United States, which is seeking to have her extradited. 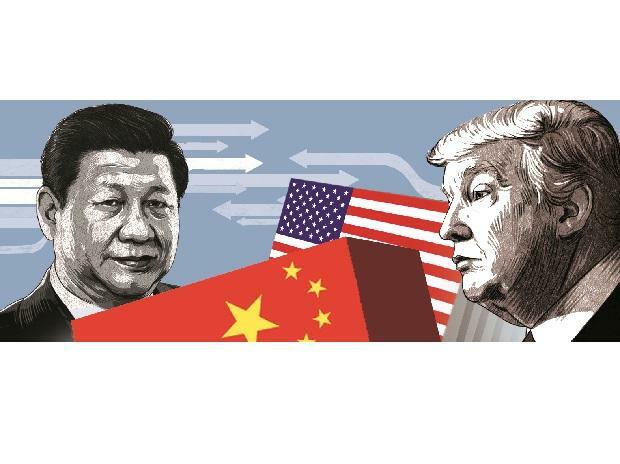 They have emphasized steps already taken, including reduced automotive tariffs and a draft foreign investment law that improves access for foreign firms and promises to outlaw "administrative means to force the transfer of technology." As members of the Chinese delegation left their hotel near the White House, a small group of Chinese protesters held placards highlighting various grievances against the China's government, including the unfair taking of properties. Some business groups watching the talks were tempering expectations for a breakthrough. With a month to go before the deadline, it was unlikely that either side would put their best offers on the table in the next two days, said Erin Ennis, senior vice president of the U.S.-China Business Council. "I don't think there's going to be any big outcome," Ennis said of the talks scheduled for Wednesday and Thursday. "Hopefully they make some good progress that will set them up to be able to get to completion at the end of the 90 days." People familiar with the talks said manufactured goods, a key priority for the Trump administration, were among the largest components of Chinese purchase pledges aimed at significantly reducing the U.S. trade deficit with China. But here, too, there are "no guarantees" that Beijing would follow through on these pledges, one of the people said.